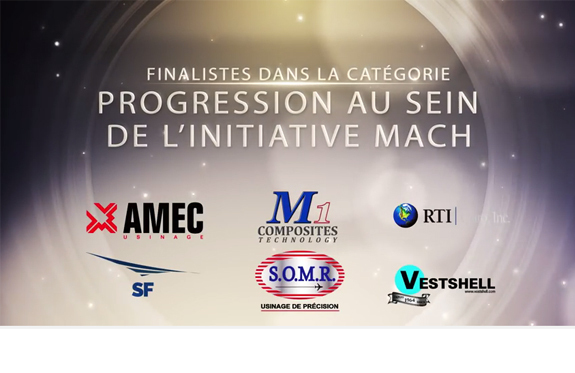 Hello to all,We are very proud to announce that we are a finalist in the category - progression within the MACH initiative at Gilles Demers Awards, which aims to recognize leadership and excellence in Quebec aerospace sector. This award aims to recognize the company that has progressed significantly within the initiative. The name of the winner will be announced at the Gala to be held on September 30th.